Starter home? Yes! Downsizing? Yes! Pied-a-terre? Yes! 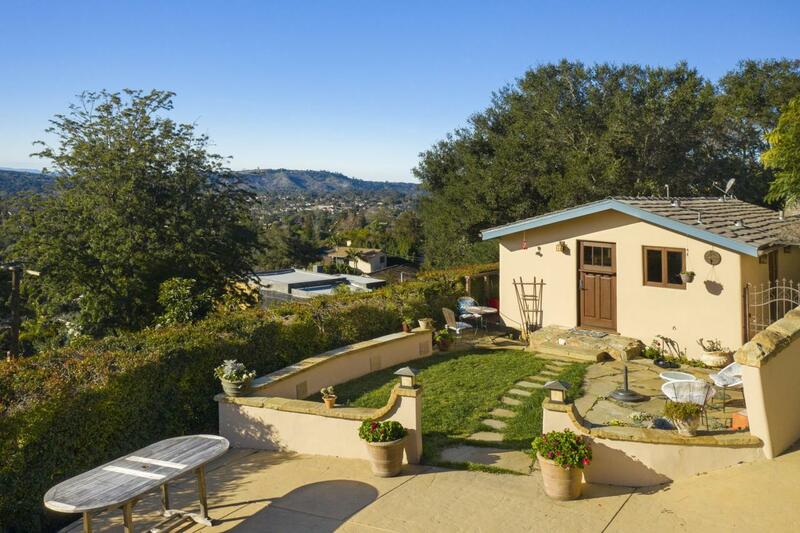 This charming 1bed/1bath Mission Canyon cottage offers endless possibilities. 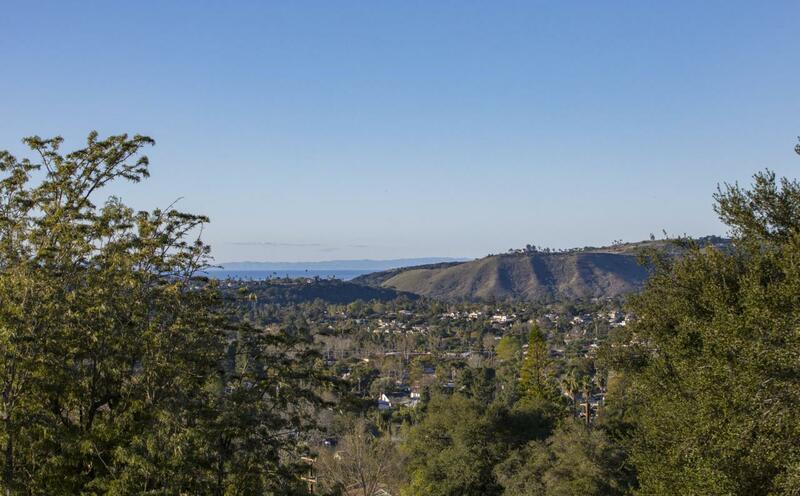 Enjoy panoramic ocean, island, and city views from every corner of this property! The south-facing orientation makes this a warm, bright, and sunny home all day long with incredible sunrise and sunsets. 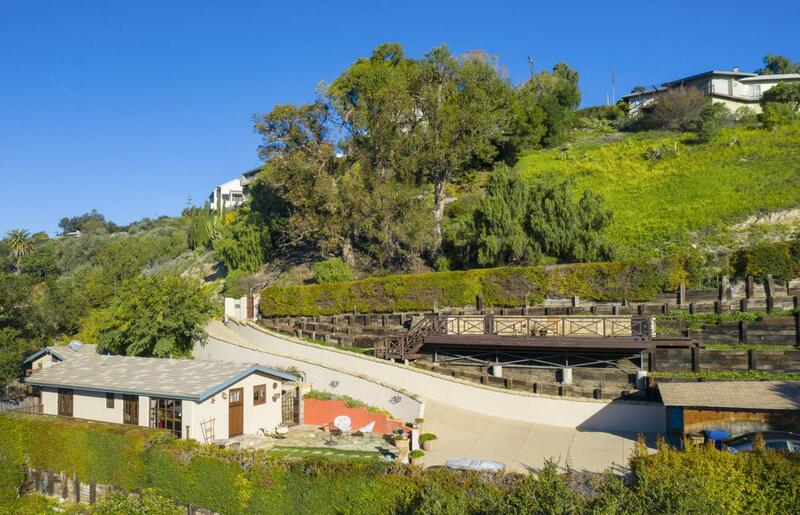 The automatic entry gate and stone driveway are comparable to that of a prestigious Montecito estate. As you enter the home you are welcomed by refinished oak hardwood floors and vaulted ceilings. The kitchen offers a gas stove, oven, and stainless steel fridge. The bedroom enjoys french doors out to the deck. The bathroom has a stand-alone tub/shower, boutique sink, and tile floors. Brand new A/C and furnace.The formal laundry room has a new washer/dryer set, full sink, and storage cabinets. Behind the cottage is a detached office/art studio/storage room with an outdoor shower. The stone patio is perfect for outdoor dining in our year-round Santa Barbara weather. Additional property features include: new tank-less water heater, detached carport, spacious viewing deck, and ample parking. 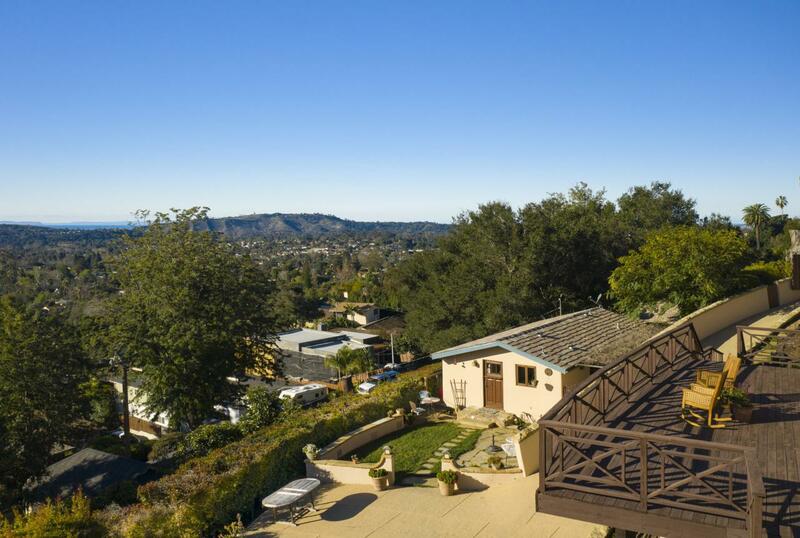 This home is located just a couple blocks from the Santa Barbara Mission, Rose Gardens, Rocky Nook Park, and the Natural History Museum. Very desirable Roosevelt Elementary School District. Listing provided courtesy of Mike Richardson, Realtors.